Mark Corrigan is a private investigator and sometime agent for the U.S. government. When he isn't globe-trotting about the world, he occasionally makes his home in Philadelphia, the city in which he grew up. As a youth he belonged to a rough Dead-End style gang, becoming its leader before reaching adulthood and giving it up to become a private eye. He worked that profession for a few years until Pearl Harbor and he joined the military. Seeing his former vocation and learning his skills at ferreting out trouble and taking care of it afterwards, Corrigan was assigned to Military Intelligence. For many months he fought with the Maquis in France undercover and then ended the War tracking down spies and sympathizers. When the hostilities ended and he was released from duty, he hung around London doing an odd job or two before heading back to Philly and his former job. For several years/adventures, Corrigan remains a private eye though his assignments, often for the American government, took his around the world. 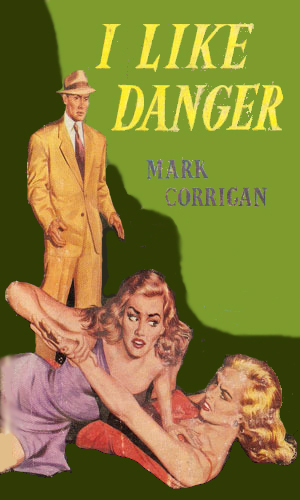 Eventually, an offer of full time employment came and Corrigan, loving the travel and the danger, took it. From then on, he was a fully licensed agent. There would be no way to call him a secret agent, however, because Corrigan had been making it a practice to write about and publish the details (names changed when necessary) of his cases. For much of the adventures, Corrigan shared the danger and excitement with the lovely Tucker McLean, a pint-sized beauty who has the same tenacity as Corrigan. They become devoted lovers even though Corrigan continues to chase every female who comes within reach. 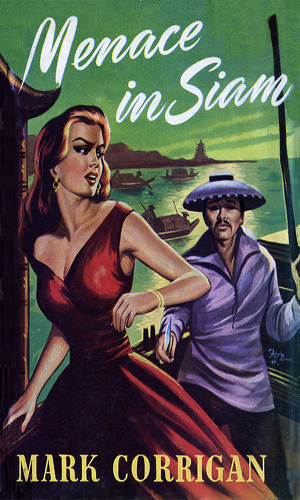 The eponymously published Corrigan adventures were written by Norman (Harold) Lee. 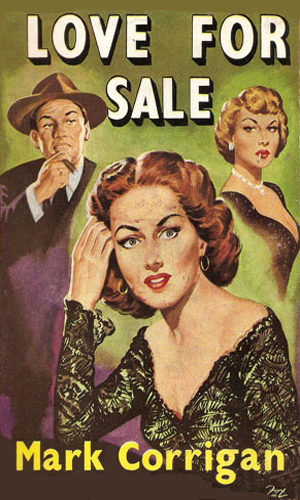 While stopping a simple case of petty blackmail, Corrigan finds the murder of the blackmailer is tied to something much bigger. Digger deeper, he becomes entangled in a plot by former Nazis to steal secrets from various British labs, all for a sinister plot they have going in South America. Corrigan is now a private eye back in Philly. A wife of a millionaire is being blackmailed over her previous life as a stripper. Taking on the blackmailers means also taking on those behind the scheme who was extorting secrets from important people and selling them to other governments. 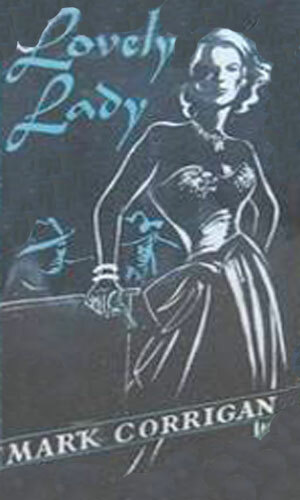 When a famous female movie star disappears, a film extra is hired to impersonate her until the real one is found. Then the extra is murdered while sitting in Corrigan's Jeep and he gets serious about catching up to the errant star and finding who set him up and killed the innocent girl. An old war buddy and now a general in U.S. Intelligence hires Corrigan to travel to Tangier to help track down an ex-Nazi prison doctor wanted for performing hideous experiments during the War and now renewing that practice in North Africa. 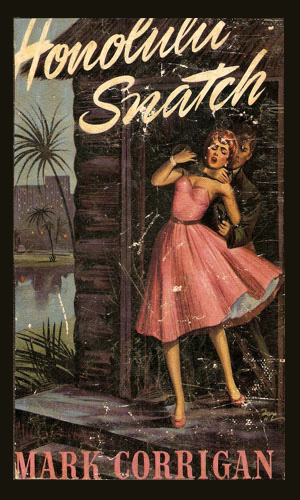 Taking a job for the U.S. Consular Service, Corrigan heads to Casablanca to take on the ever sinister Madame Sly, a woman of great allure and deadliness who is running a blackmail and extortion racket in the Moroccan city. 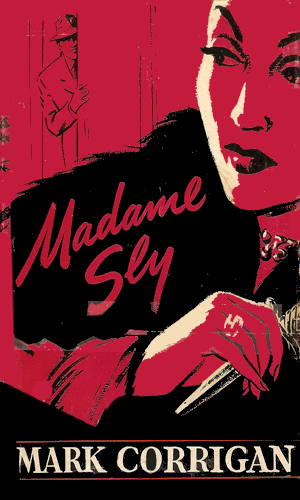 Corrigan must also find out what hold Sly has on the American wife of a French diplomat. 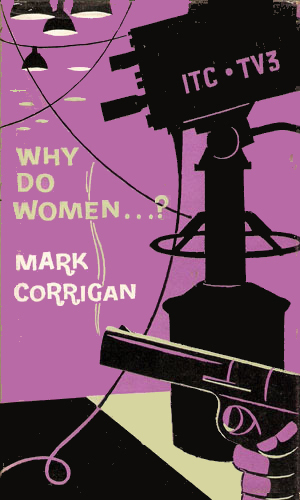 Now in London, Corrigan is asked to help investigate a series of improbably accidents plaguing a London play troupe. This means joining the cast of actors, not his normal role in a case. The knife found in an actresses chest and a canister of film not meant for theaters gives Corrigan how serious it all is. 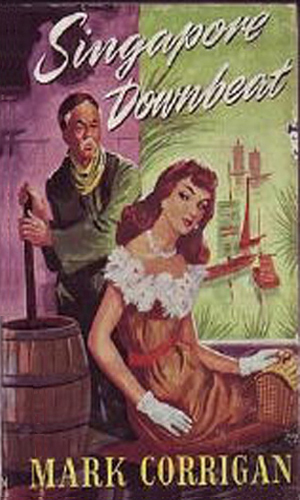 A rich woman contemplating divorce hires Corrigan to fly to Reno to find and bring back a 'witness' in her proceedings. 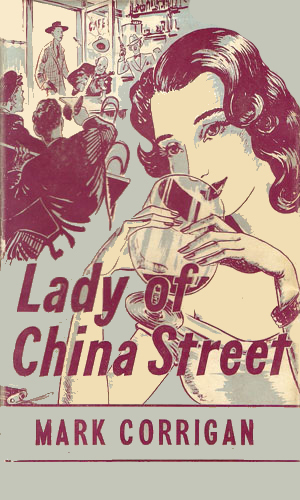 This quickly put Corrigan in the hunt for a woman from Shanghai, a redheaded killer with a love for men and money and a hatred for those interfering in her business. The American wife of a wealthy British viscount has run off with another man and the noble is not happy. 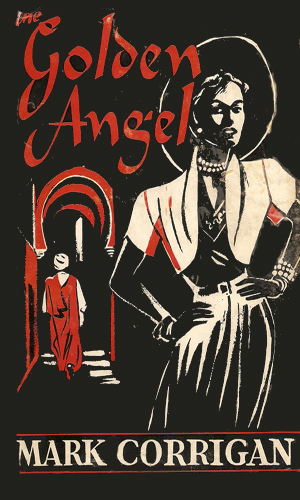 He hires Corrigan to track the wayward lady down but Corrigan quickly learns it isn't just love involved as he lands in the middle of a drug trade between London and Cairo. Corrigan is on vacation in Marseilles when he is approached by a representative of the Criminal Air Force, a trilateral group aimed at fighting smuggling via aircraft. The work involves putting a stop to a gang led by the Albino. Then the agent doing the offering is murdered and Corrigan is on his own. Corrigan is again hired by U.S. Intelligence, this time a small group called Department L, to help track down a spy stealing secrets from a secret satellite research facility in the north of England. 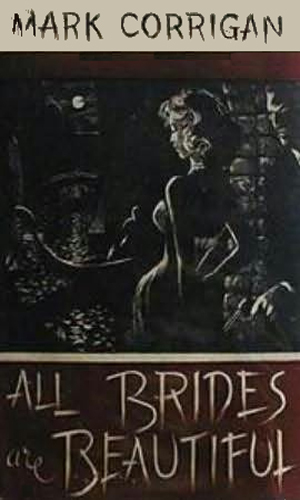 It is in this adventure that Corrigan meets and hires the delightful Miss Tucker McLean. Again a department of US Intelligence hires Corrigan, this time to head back to France where one of their agents is having a difficult time tracking the route used by opium smugglers. Corrigan brings in Tucker to help in a case that actually has ties to adventures right after the War. 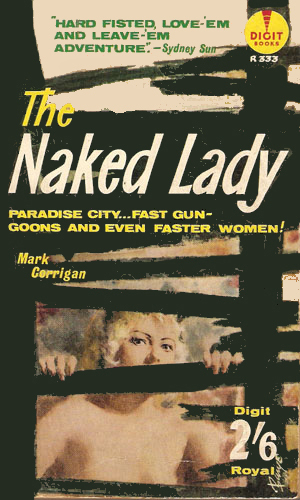 The Naked Lady was a small valuable statuette which played a major role in the investigation of a reported suicide of a Chinese curio dealer in Paradise City, Missouri. His daughter asks for Corrigan's help to prove it was murder and the request was backed by the Governor. The racketeering Corrigan unveils is extensive. The request came from the glamorous movie star with a past. Someone is blackmailing her with revealing her real history, namely a father who is a gangster and a sister who was a call-girl. Corrigan and Tucker have a hard time finding the one behind the crime and staying alive while doing it. The government asks Corrigan to go undercover to help break the near total control gangsters have on a small Missouri city. The crooks have organized into a tight, rigidly controlled business with a ruthlessness that makes challenging them almost a death wish. 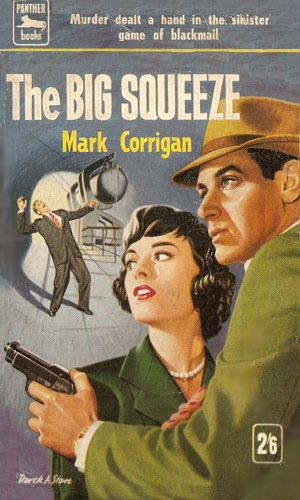 Corrigan sells his small agency and goes to work full time for U.S. Intelligence. His first case takes him initially to Mexico tracking a leak in security as nuclear secrets are being stolen. 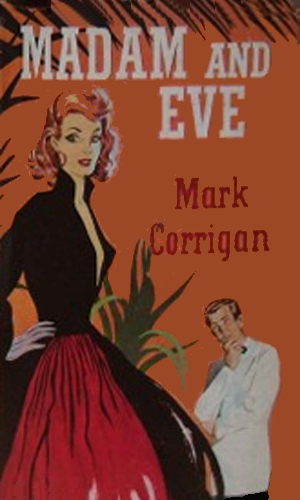 Corrigan has enough trouble without having to worry about Tucker and a new woman named Eve. The assignment was a simple one of traveling to Australia to help identify an enemy agent, a man that Corrigan had known years before. Sailing there, though, would bring enough excitement and murder to make up for it as things really heat up during a stop-over in Ceylon (Sri Lanka). Corrigan was heading back to the States but as a favor to the Aussie government, he agrees to look into a racketeering matter. This gives him an opportunity to drive through the Nullabor plain in Australia first. Giving a young woman a lift while doing so ends up bringing death as a companion. 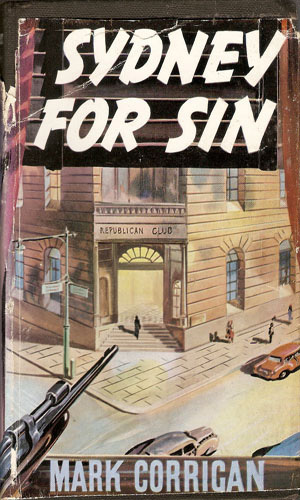 Set to return to the States (again), Corrigan is asked once more to help the Australian police. 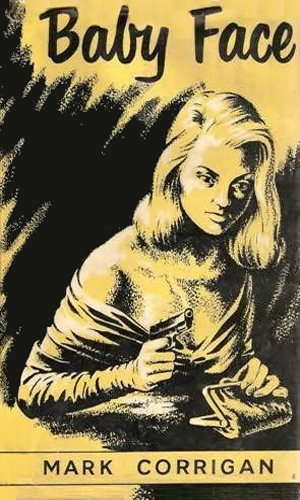 This case involved taking on a gang called the Kreig-Romain Syndicate and included numerous blonde-haired, blue-eyed ladies all made to look like each other. Then there was the secret agent's arm found inside a shark. 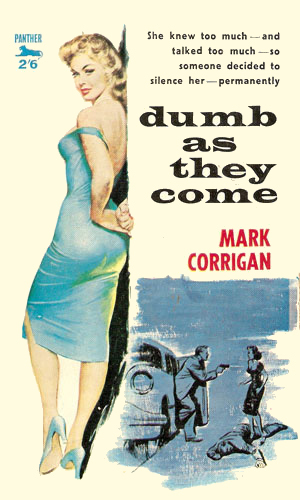 Corrigan, set to finally head back to the States after several interruptions, is given three weeks to prove that the wealthy man known as Steve Bradley was really a notorious criminal named Nick Acardo. The task would take him to South America and back and leave mayhem in the wake. After a couple of unspecified assignments, Corrigan and Tucker take a vacation to Canada but stop first in Chicago. There, Corrigan gets slightly involved in an interesting murder case and cannot pass up the chance to solve another one. Especially with yet another beautiful woman involved, much to Tucker's annoyance. The Fangs of Thailand (Siam) are a family in two common uses; they are related by blood and marriage and they are a unit of organized crime. From their powered position they control a great deal of the drug and gun trade. It is Corrigan's job to find a way to drive them out of the country. 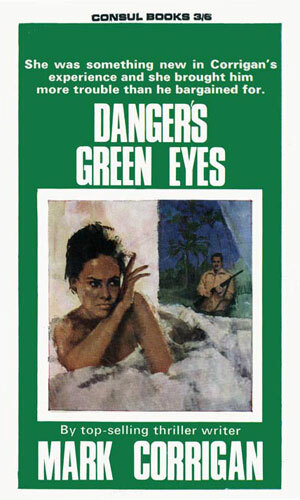 In Hawaii with Tucker, Corrigan meets a beautiful woman in a bar who seems to know a lot about him. She preceeds to tell how she and her family are being extorted by a known kidnapper: pay or be grabbed. Corrigan can't resist the challenge or the chance to get to know her better. 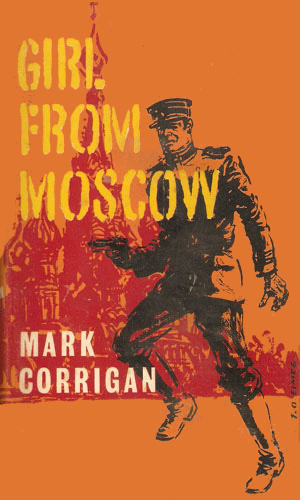 To smuggle a young woman out of Russia, Corrigan must go behind the Iron Curtain impersonating a Soviet agent, one who had been captured. Of course, pretending to be someone else is made harder when you are as well known as Corrigan. 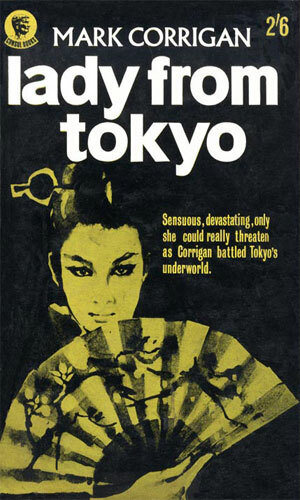 Corrigan and Tucker are in Singapore where they each have an assignment. He must look into the activities of a Mr. Sin, a man deeply involved in the smuggling of synthetic gold. She has to check out an event with a poisoned pen. Somehow they must find a way to help each other. The notorious Mr. 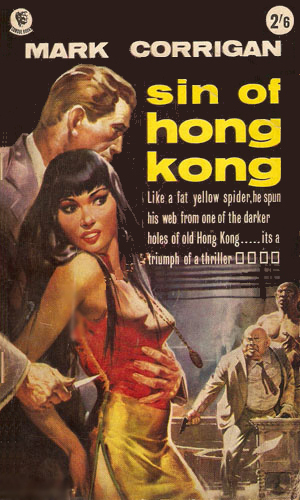 Sin is now headquartered in Hong Kong and causing even more trouble. Washington decides another go at him must be made and no agent knows him like Corrigan. Corrigan choses a method no one else thought of. Yet again the inimitable Mr. Sin is active, this time working with the Triad in Japan, being funded by the North Koreans. Again Washington sends Corrigan to take him on, aided by the two rivals, Miss Laurier and Miss McLean. Corrigan is taking a much needed and long delayed vacation, heading with the luscious Tucker McLean to Africa. It is a working vacation, though, as he is taking part in the filming of a television safari called "Jungle Fury". Corrigan, after years of working for U.S. Intelligence, has quit. Moreover, the wonderful Tucker McLean has left him for good. To occupy his time, he has taken a job as a troubleshooter for a huge conglomerate, the Internation Television Corporation. His first job is finding why a famous tv star has disappeared. 29 Why Do Women ...? 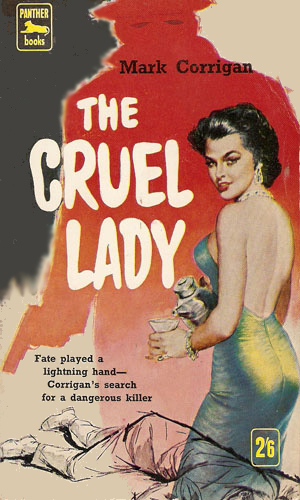 In addition to his troubleshooter role for the company, Corrigan accepts a part in a family drama but on the first day he finds a mystery in the disappearance of one of the key stars. 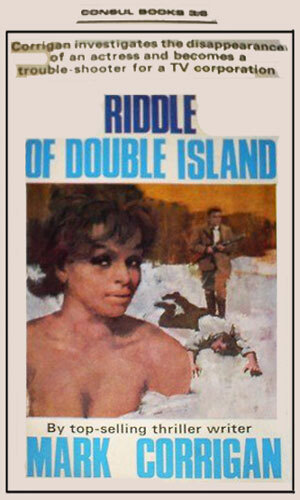 Corrigan cannot resist the challenge of a mystery. On vacation in Spain from a grueling life now of a family serial actor, Corrigan's location is discovered and he is offered a detective assignment for a lot of money. 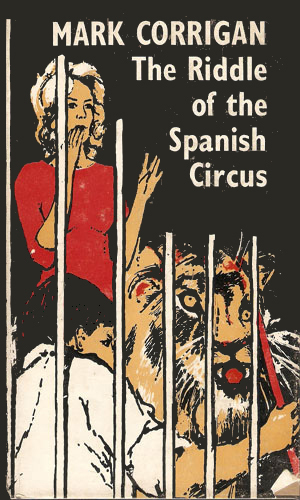 The job is to join the Madrid Circus and find out who is plaguing the acts and stop it. In all the series that I have studied, there have a fair number of spies who have changed professions inside the series. Usually it is quitting the agency they work for and becoming a civilian but there are a few in which they join the agency. 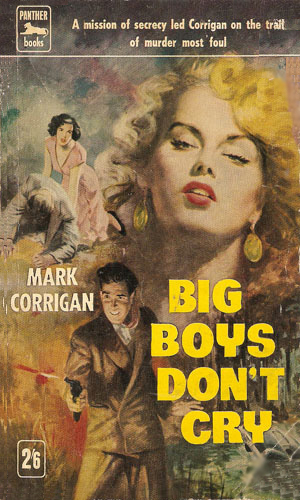 In this series, Corrigan pretty much does both. Initially he is a private eye. This is during the period when private eyes were very much in vogue. 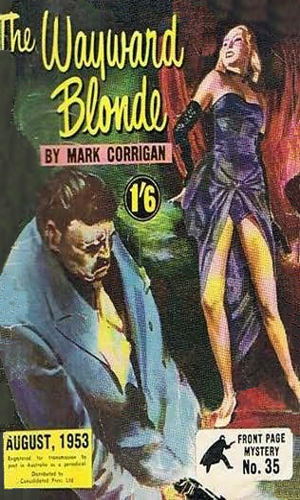 After the popularity of the secret agent grew, thanks to Bond, Corrigan is offered a full-time position as an agent, not a huge leap since he'd been doing the odd assignment already. But then at the end of the run, when apparently the author felt a new direction was needed, he quit and became a corporate troubleshooter. He should have stayed a spy. And he should have never let Tucker McLean get away!!!! If you read the series, you'll understand why I am so upset. I mean, come on! Nobody lets someone like Tucker walk out. I don't care if this IS fiction! Gee! !